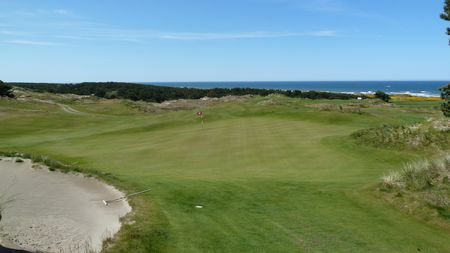 Ben Crenshaw and Bill Coore designed the third of the three courses at Bandon Dunes Golf Resort in 2005. Unlike the club's other two courses, Bandon Trails is not a links, but even though none of the holes is set by the sea, the layout is clever and intriguing, in particular in the way bunkers are deployed. Apart from the 1st and the 18th, the holes are protected from the gusts off the ocean by evergreen groves. As is typical of these designers, generous fairways help to keep balls in bounds. There are no carts permitted here, and the 9th does not loop back home, so be sure to set out with ample refreshments. 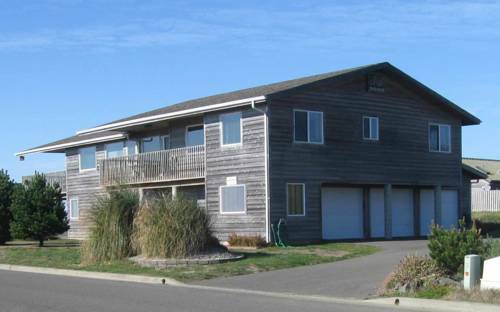 The attractive clubhouse, a satellite like the one at Pacific Dunes, offers the kind of fare that hungry players crave. 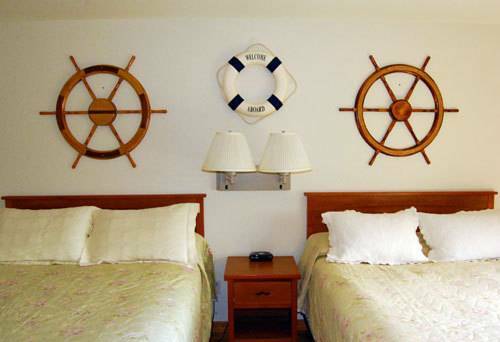 Upkeep on the course is consistent with the high standard maintained throughout the resort. 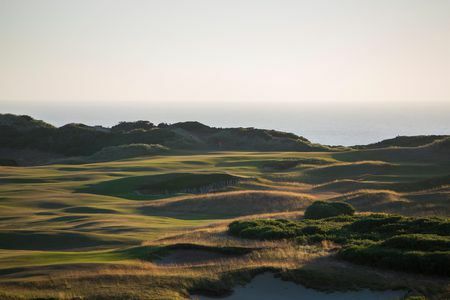 The number one conversion at Bandon Dunes when enjoying a beer at one of their 6 fabulous restaurants is ‘which course is your favorite?’ You will hear that question asked countless times while visiting the resort but the answer depends on the golfer. You may bump into four different golfers and get four different answers. That’s what makes Bandon so special. 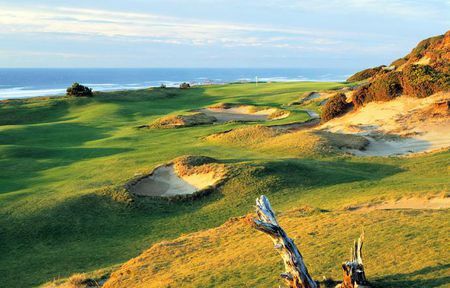 I would say I fall into the minority when asked about my favorite course, Bandon Trails. Trails is routed away from the ocean so during the winter months it’s somewhat protected from the rain and wind. 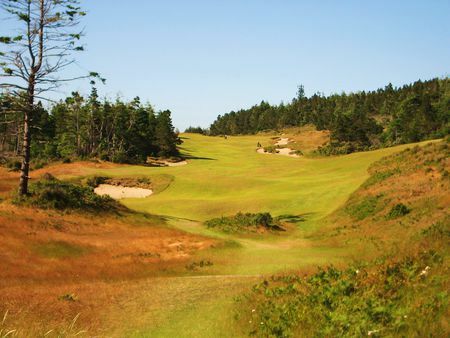 With the other three courses playing on the ocean, Trails plays through meadows and coastal forest. Coore/Crenshaw laid out 18 holes like they have been there for a thousand years. Yes there are drivable par 4s that Coore/Crenshaw have become known for. One memorable hole is the short par 3, 5th. Just beautiful with a multiple tier green complex that’s protected with 3 bunkers in the front. I also have to mention hole 14 an elevated drivable par 4 that can quickly get you in trouble on the score sheet. It’s a really good hole to bet a beer on when playing with your friends. I would say 18 is the best finishing hole of the 4 courses. It’s a tough up hill par 4 with bunkers lining the fairway. 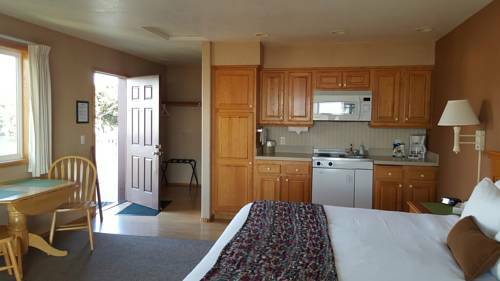 (The course description states that 9 doesn’t finish at the clubhouse but there is a halfway house, that stays fully stocked). Walking is a must at Bandon but i do recommend Trails as your morning round when your group is fresh. Don’t play Trails on your arrival day after a day of traveling. One negative to the course when you finish 13 you have to then be transported via cart to the 14th tee box. It was a minimal distraction to me but some can’t let that go when discussing the course. 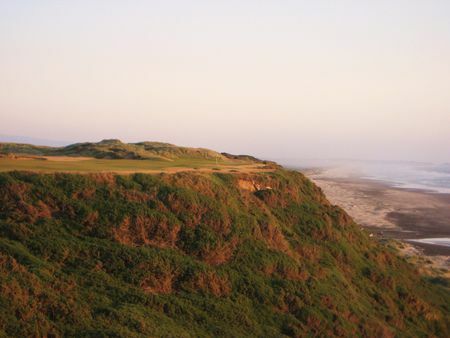 What’s your favorite course at Bandon? 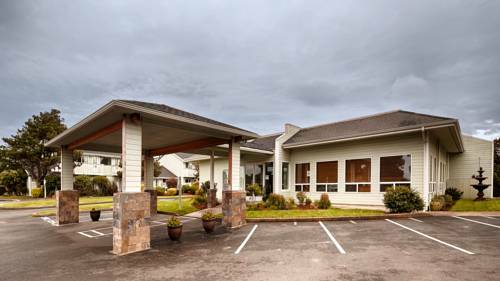 If you can’t answer that question because you haven’t been then Bandon Resort should be on the top of your to do list.